SJSU experts debate mHealth’s ability to make healthcare more accessible and patient-centric. Counting steps, burning calories, measuring water intake, analyzing sleep cycles—these days it seems that everyone is monitoring some aspect of their health with a fitness band or smartwatch. These wearable devices may be among the first things that spring to mind when one thinks about mobile health (mHealth), but they’re part of a much larger picture. According to the Food and Drug Administration, wearable devices and mHealth fall under the rubric of digital health, an area that also includes health information technology, telehealth, telemedicine and personalized medicine. This diverse sector is ripe for innovation and entrepreneurs are responding, bringing new health apps and services to the market every day. Those active in the field agree that there is much to be gained with respect to patient focus and personalized service, but they also caution that there are still many questions around regulation, privacy and veracity of information to be addressed. When patients use Proteus Discover, they take a prescribed medication co-encapsulated with an ingestible sensor (by their pharmacist), which transmits information to a wearable patch, explains Proteus VP of Product Integration and Security Todd Thompson, ’89 Mechanical Engineering. The patch then creates a digital record that is sent to the patient’s mobile device and to the Proteus Portal, where doctors and caregivers can access the information shared by the patient. 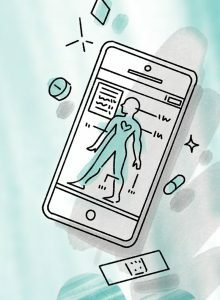 This technology is particularly beneficial to those with cardiovascular and infectious diseases, where high medication adherence is not only critical to improving patient outcomes but also helpful in reducing the healthcare costs due to excess hospitalizations, emergency room visits and office visits. “For example, non-adherence to medication is one of the most likely causes of re-admission for patients with heart failure,” says Thompson. 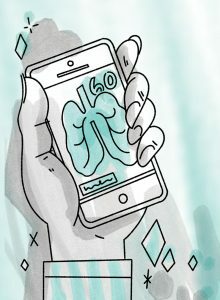 Digital health tools like Proteus Discover also improve patient engagement because they make the consequences of patients’ actions clearer to them, says Thompson. “We’ve found that once patients start to understand the cause and effect of their medication-taking behaviors, they become more engaged in their own healthcare. They gain confidence in their ability to manage their disease and have some concrete data they can discuss with their physicians, which makes for a richer dialogue between patient and provider, and ultimately improves outcomes.” Digital healthcare is all about patients first, Thompson asserts, and tools like Proteus Discover provide information that not only empowers patients but also enables physicians to deliver more focused care. In Christine Hagar’s experience, technology can sometimes provide the only viable healthcare option. An associate professor in SJSU’s School of Information, Hagar is an active member of Mobile HIFA (mHIFA), a sub-group of Healthcare Information for All (HIFA), that is working to make sure that first aid, maternal, child health and nutrition information are available for citizens in low- and middle-income countries via mobile phone, free of charge. 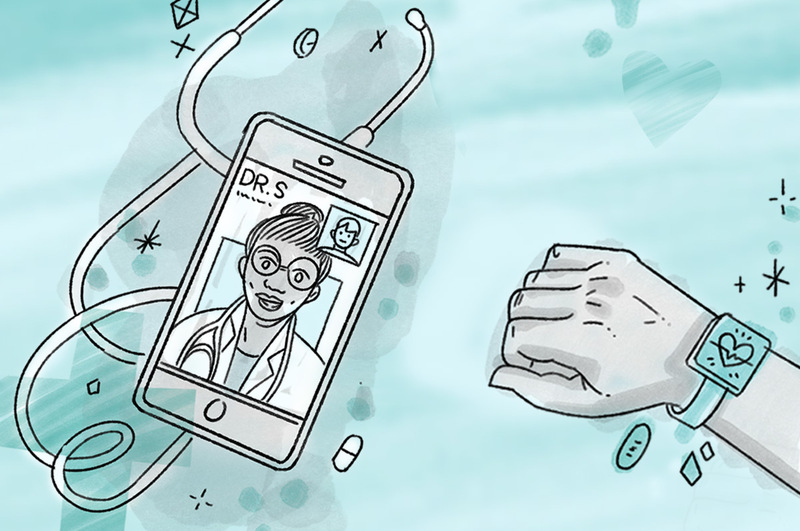 Mobile phone availability continues to grow around the globe, notes Hagar, while healthcare providers are often scarce, making the need to make healthcare information available via mobile devices even more pressing.